Boatlily (Tradescantia spathacea): growing, planting, caring. 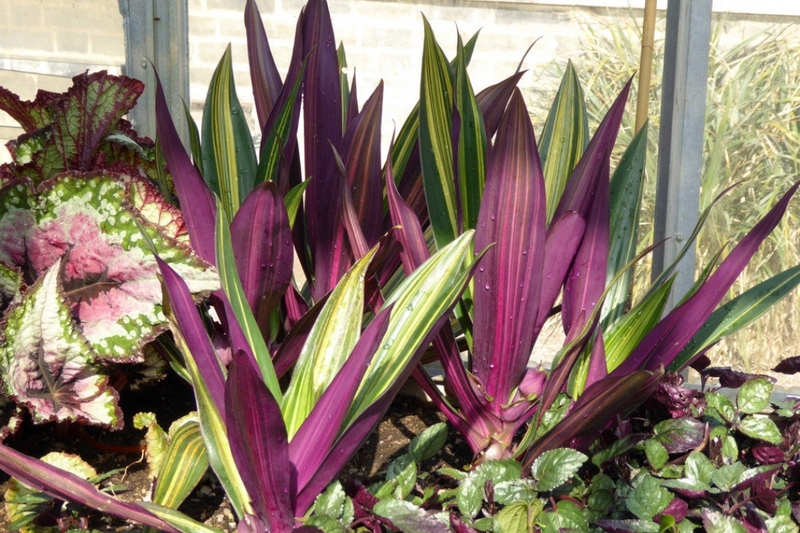 Tradescantia spathacea has fleshy rhizomes and rosettes of waxy lance-shaped leaves, dark to metallic green above, with glossy purple underneath. A native to the dry forests of central America but widely cultivated as an ornamental and naturalized in parts of Florida, Texas, Hawaii, and various oceanic islands - and as a houseplant elsewhere. Tradescantias like water, so water every two days the first month, then twice a week during the rest of the growing season. In winter, space the waterings. In pots, replace the top soil layer in early spring with some compost. You can also give them some nettle manure diluted by 1/10 every two weeks. To propagate your Tradescantias you can easily cut a part of the tuft with a spade and replant it in another pot. It is better to do it in the spring or fall.